I’m heading off to NYC today for Page Turner, the Asian American Writers Workshop Festival, and one of the things that has stumped me as a newbie author is “what do people wear to these things?” I never thought about this much until recently, when I had a number of book events to do. Even more alarming were the requests for author pictures to go with interviews. It was then that I realized that there’s a big difference between clothes that feel comfy (like sweats) and clothes that, um, photograph well. Now, I must confess that before I became a stay-at-home-mum I did have another sort of wardrobe. This consisted of corporate-looking suits and their accoutrements. In fact, a leather briefcase was the first thing I bought after I graduated from university and got a real job. In a burst of enthusiasm, I rushed out and got one to signify that I was now one of the teeming, employed masses. In fact, when I was telling my mum that my publisher needed an author photo, the first thing she suggested was “why don’t you wear a nice suit?” I was only able to dodge this by pointing out that the few old suits I had left were boxy-shouldered and made me look like a prosecutor from the 2001 season of Law & Order (we’re talking Sam Waterston here, not Angie Harmon). And then if I went further back in time, there was my college wardrobe from the 1990s. If anyone has forgotten what was “in” during the ’90s in Cambridge, Massachusetts, it was flannel shirts and Birkenstocks worn with socks. Now when I look at old photos, I experience this sense of horror. What was I thinking, wearing those flannel sacks and even green corduroy pants when I was still relatively slim at the time? And everybody had floppy “Friends” hairdos, except for me. I just had a bad case of puffy hair that lasted a decade. “Uniforms!” I said. This was perhaps the crux of the matter. Growing up in Asia and Europe, I wore school uniforms for most of my formative years. Actually, I think it’s quite a good idea. You never have to worry about what to wear, or whether it’s appropriate. Which brings us back to what do authors wear for public occasions? A quick perusal of some of my favourite writers, like Jhumpa Lahiri and Jo Nesbø, simply revealed that some people are so good looking that it doesn’t matter what they wear. Unfortunately, that’s not my problem. The other thing I discovered from years of house-wifery is that I don’t like to wear uncomfortable clothes. After all, if you have to squeeze under furniture to retrieve bits of Lego and Playmobil for your children, you might as well make sure you’re not splitting a seam. This means my wardrobe has been in large part taken over by yoga pants. I’m not joking. The few meager shelves that house my clothes are mostly occupied by stretchy, fleece-like apparel. “Is it even a little bit cute?” I asked my husband, anxiously. Don’t wear horizontal stripes all the time. I have a penchant for striped tops, probably a carryover from early Sesame Street fashion influences Earnie and Bert. But I realize, reluctantly, that it’s not the most flattering silhouette. Wear clothing that’s comfortable, yet professional. This means tailored jeans for me and a nice blouse. Go out and actually buy a nice blouse. Yes. I had to force myself to go to the mall and look for clothes. This is very difficult because the clothes that you are trying desperately to buy are extremely wily when they know you are hunting them down, and tend to be suddenly “out of stock”. Don’t leave this until the day before you depart for a literary festival in NY. If you’re in NYC or Brooklyn on Saturday, October 5th 2013, I’ll be at Page Turner, the Asian American Writers Workshop literary festival, speaking at 6pm on a panel with novelists Justin Torres and Porochista Khakpour. I’m told there will be street food and make-your-own-dumplings. And if you come, you can find out whether or not I managed to give up my beloved Dansko clogs! Photo credits: Allen Ginsberg – http://www.obit-mag.com/articles/allen-ginsberg-a-poetic-life. 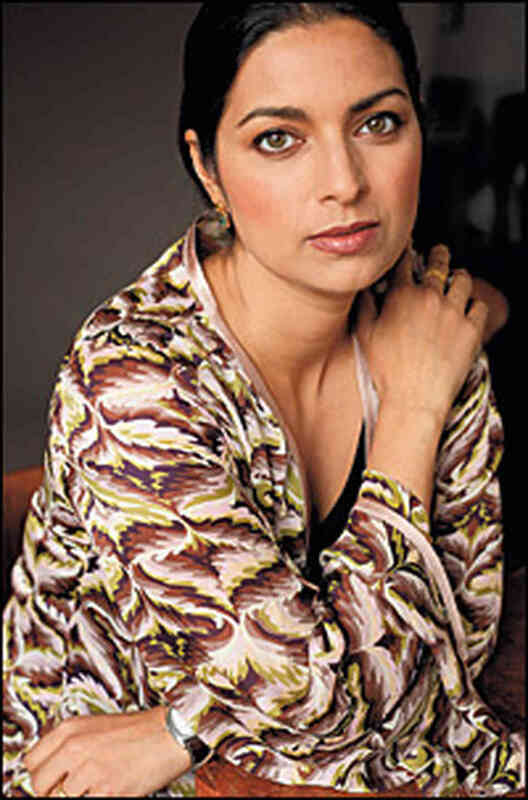 Jhumpa Lahiri – Elena Seibert. All other photos linked back to sources. Fun blog, Yangsze. Enjoy your time in NYC! I’m off to buy some tailored jeans and a nice blouse! Ha ha! World Fantasy Con sounds really exciting (and probably gives you a lot more leeway in what you wear…)! What a fun post! I confess that I have daydreamed about book signings and wondered, “What would I wear?” Only one outfit in my closet was a remote possibility. Recently I had to buy clothes for a new job, so now I have options. (I just need my book published!) One thing I learned: Remember to accessorize (including with scarves). It improves almost any outfit–not to mention your confidence! Have fun in NYC!!! Thank you! I did have fun (and I ate too much…so much for the “tailored” jeans). Get a basic black jacket too. Very versatile. Oh dear, now not only do I feel out-of-fashion, but old too! I live in the Pacific Northwest and still wear Birkenstocks. No socks in the summer, but with socks in the winter. Socks have progressed (though not I) to Smartwool or polartec. Heavy (but toasty feet) sigh. Great post! I have often wondered about the sartorial choices of authors. Have you read Danielle Steel’s blog? Apparently she’s a huge fashion fan, even wearing couture (although perhaps not to readings), and one of Christian Louboutin’s biggest “clients.” Wowza! As for comfy but good-looking clothes, DVF and Issa dresses have lovely draping and good give (perfect for dinners where dessert is a must!). Hilarious post, Yangsze! Once you find that perfect outfit, the bummer is you can’t wear it over and over, like I intended to do, thanks to Facebook pics/postings. You’ll be adorable, whatever you wear. Have a great time! I loved this and really relate to it. Yoga pants – ahem, yes! I went to some business meetings this week and practically felt as if I were in fancy dress. This is how I’ve felt on maternity leave. I have mixed feelings about wearing professional clothing again! I must confess that long after my kids were born I was still wearing maternity clothing because it was so comfy! I’ve been having a bit of a wardrobe crisis myself – moving from an uber-formal professional company to one of those dress-down multinational types. Still figuring out where to go from here, but tailored jeans and a nice blouse sounds fitting as well! Hey, hey – at least you’re wearing a skirt! And knowing you, you look adorable! Oh this made me smile! With the money from my first writing award I bought a jacket I’d been hankering after, telling myself I could one day wear it to writerly things. And then I got cold feet, thinking It would look too odd and unprofessional (its victorian-era-inspired). But then I went to a writers festival and saw some authors looking very ordinary, like businesswomen, and remember feeling rather disappointed – you couldn’t distinguish them from the agents! I wanted the authors to look a little arty-creative after all 😉 So maybe I will ewar it one day… when it comes back into fashion lol! You definitely should wear it! I just finished THE GHOST BRIDE tonight (your audio book) and had to come and visit the blog. What a fun post! I splurged last night on an official Author Coat for myself, to help me look Cool. I hope you felt wonderfully professional-artsy at the conference. Thanks for the fashion tips. I loved The Night Tiger!